Visiting Chicago is a great experience. Disregards time of the day or night, Chicago is always a lively place, full of things to be done for any visitor. Chicago city is famous for its fantastic and high-level night life with its numerous night clubs and pubs. In one word, Chicago is a great spot to party all the night long. There are some things to consider when wishing to experience nighttime activities and visiting night clubs and bars in Chicago. Before starting on your ‘night journey’ make sure that you know where unsafe Chicago places are located. For this purpose it is recommended to ask locals (if you have acquaintances or friends in Chicago), browse internet forums and websites to avoid some sports after certain hours. Let your close people know about your movements around the city and places you are going to visit every day of your presence in Chicago. Have a cell phone with you. The top 10 night dance clubs and bars in Chicago you can choose from as your destination are: “Berlin”, “Nacional 27”, “Vision”, “Rednofive/the fifth floor”, “Hydrate”, “Transit”, “Beaumont”, “Sound-bar”, “Manor”, and “Copa Lounge”. 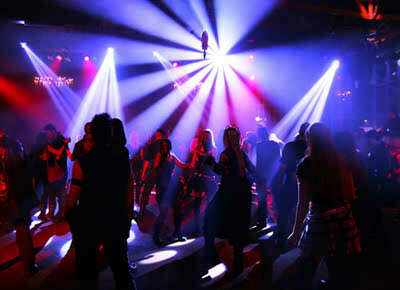 Chicago is an amazing place offering a fantastic night life, just use commonsense when you are out.